Drain Cleaning: This Is One of the Best Times of the Year for It! Boiler Problems: Time to Repair or Replace? We all have been there: do I buy a new car, or do I spend the money to fix the one I own? Do I buy the latest cellphone, or do I get the broken screen fixed on mine? Well, you should be asking yourself these questions when it comes to your boiler, too. We know it can be a daunting task. Deciding where to put your money can be stressful, but we are here to help! Scheduling a visit from one of our friendly technicians can help you make the right choice for your home. 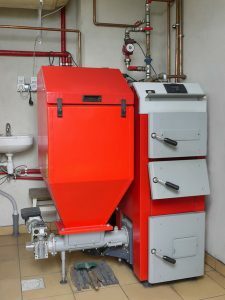 The lifespan of a boiler is typically between 15 and 20 years. However, the actual lifespan of your boiler depends on the type of boiler you own, the size, and if it is regularly maintained. It is over 15 years old. You are spending excessive money on fuel bills. It has a standing pilot rather than electric ignition. It has an AFUE rating below 80%. We also recommend you keep a close eye on your heating bills. A sudden rise in heating costs can be a good indication about the overall function of your boiler. You might not experience any change in warmth or comfort, but if there is an issue, your overworked boiler will gradually become less efficient. Our team provides great boiler service in Chicago, IL. We can help you if you are experiencing things like a loss of heat or hot water in your home, strange noises, and leaks. During our visits, we will check for gas leaks, check the heat exchanger, look at the control valves and bypass, clean the burners and controls, adjust the burner for efficiency, lubricate moving parts, and much more. All of these services are routine and will enhance the overall function of your boiler and reduce the amount of money you spend on repair services. Most repairs can be avoided when your system is cared for on a regular basis. With a great service plan, you don’t need to remember to schedule important, regular maintenance. Your HVAC provider should remind you! If you want to keep your boiler running efficiently for years to come, it needs to be properly cared for by a professional. If you need help deciding what to do with your boiler, contact ServiceMax today. We’re open 24/7–All Day, Every Day!